There’s nothing more disheartening than opening up your mail, only to find that one of the envelopes contains a parking fine for £50, £60 or perhaps even £100! What’s worse is when you have received it from a retail store car park where you had been genuinely spending your hard-earned cash. This is exactly what happened to me recently so I thought I’d let you know how I managed to get the parking ticket cancelled and how you might be able to do the same. A few weeks ago my wife and I decided that we were in desperate need of some new clothes so – being the bargain hunters that we are – we headed over to our local TK Maxx to try and grab some good quality clothes on the cheap. We ended up finding quite a lot of stuff that we liked and because of this we spent an age picking out the clothes, trying them on in the changing rooms and deciding what to buy. We left the store extremely happy with our bargains and headed on home. A few days later, however, you can imagine my horror when I opened up a letter which contained a notice of a £60 parking fine – technically it’s an invoice – as I’d stayed in the store car park for longer than the 2 hours that they allow. It’s worth mentioning here that the fine came from a company called UKPC who manage the car park and not from TK Maxx themselves. Anyway, I have to say I was pretty gutted and also a little annoyed. I know I should have paid attention to the signs and clocked that there was a two hour limit, but we were just so excited to be enjoying some kid-free time in the shops and because we were spending a good amount of money in the store, getting a parking fine wasn’t something that even crossed my mind. As you can tell by the fact that I created this blog, I’m not one to take stuff like this lying down, so I immediately started looking into the options I had available to me, to find out whether these fines were legal and enforceable and to decide what course of action to take. While you will find a lot of people out there telling you to just ignore the fine as they are unenforceable, it seems that it might not be quite that simple these days and that many of these parking companies have started taking people to court in recent years to get their money. This might not happen to you but is it worth the risk and the possible hassle of dealing with debt collectors? Maybe you feel it is but it’s not a route I’d recommend, especially when there are other options available to you. 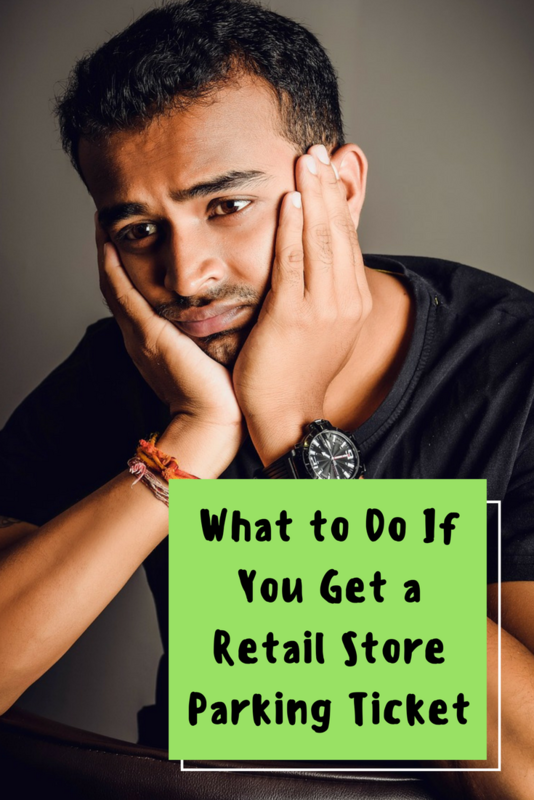 When researching online, I came across a few experiences of people who had spoken with the manager of the retail store to ask them if they can cancel the ticket for them. This is the method that I tried and it worked a treat for me. I took my receipt into the store and explained that the only reason I had spent longer than the allowed 2 hours in the car park was because we had bought a lot of items, and that it was a genuine error of judgement. The store manager was very sympathetic and agreed to cancel the parking ticket for me. They even called me a few days later to confirm that it had been done. An important thing to note here is that I had genuinely been shopping in the store and had only overstayed by about 30 minutes. I’d guess they might not be so sympathetic if they feel that there has been a genuine abuse of the terms of the car park and that you had been at a football match, for example. If you think you have a genuine case and you have been incorrectly issued with a parking fine on private land, then you may want to consider appealing it. If you want to go down this road then you will have to appeal to the parking company first using their own complaints procedure which should be explained in the letter you received from them about the fine. If they reject your appeal, then you may then be able to appeal to an independent body called POPLA who are a kind of ombudsman for parking charge notices issued on private land. To find out if this option is open to you, check out the POPLA website for more guidance. A point of caution here is that if you decide to appeal and your appeal is rejected then you will likely also lose the chance to pay the discounted price on the ticket for early payment. Then we’re left with option 4, just to pay it and get on with your life. If you’ve exhausted all the other options or even if you haven’t, you might find it’s a lot less hassle to just pay it at the discounted rate and be more careful in future. I know this goes against the grain for most – if I’m being honest it does with me too – but it might be preferable to having to deal with debt collectors and possible court action all for the sake of £60. Please feel free to leave a comment below if you have an experience to share or have any further tips that may help our readers! Why Next could be Next! Another Retail Casualty? Reject Credit Card & Store Card Rate Rises! Argos Closing Stores To Grow Online ~ Wise Move?